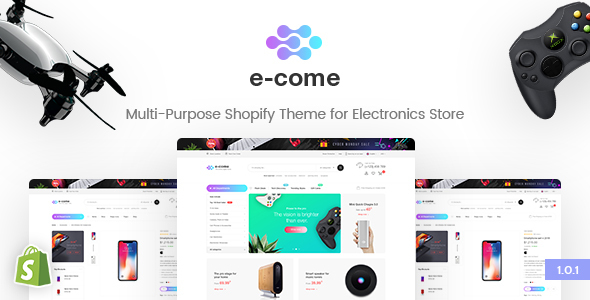 E-come is a modern, clean and professional Shopify Theme. It helps you make the most out of using eCommerce to power your online store. The design is well suited for all modern store, vendor based marketplaces, affiliate websites. It is super for digital electronic shop, games shop, food shop, devices shop, household appliances shop or any other categories. E-come theme is optimized for speed with careful attention to clean and structured code. It helps improve conversation rates. It is fully responsive, it looks stunning on all types of screens and devices. All demo can be imported with only one click.